Get ready to race for tickets – the most hotly anticipated, most raved-about Broadway musical of recent times is coming to the Paramount Theatre Seattle!! 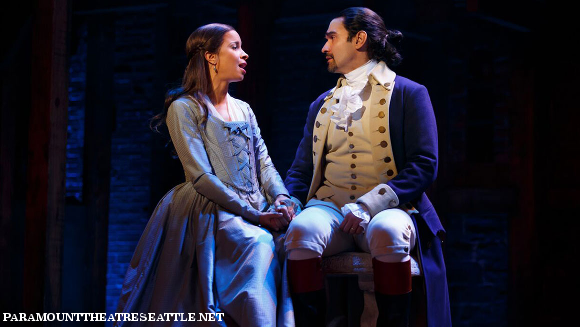 That’s right, it’s Lin Paul Miranda’s HAMILTON – showing live every day from February 13th to March 18th!! All shows are expected to sell out as demand for the groundbreaking sensation soars ever higher – be quick about getting yours, and prepare for the musical theatre experience of a lifetime!! Since its premiere at New York City’s Public Theatre in 2015, Hamilton has shaken the minds of the United States. Centered around the leading character, Founding Father of America Alexander Hamilton and his role in the American Revolution, Hamilton is a stunning new take on the traditional musical, telling a historical tale through modern methods, the most notable of which include the casting of an almost entirely non-white team of actors and the music of choice including rap, hip-hop, and R&B. 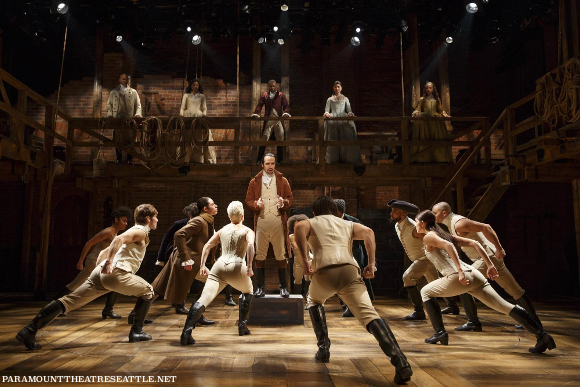 The unlikely gamble paid off – the nation went wild for Hamilton, and the musical saw record ticket sales, going on to earn an unprecedented 16 Tony Award nominations, winning 11, as well as the 2016 Grammy Award for Best Musical Theater Album and the Pulitzer Prize for Drama!! Now, Hamilton is even making waves overseas. Don’t miss your chance to see the most hyped musical of the year – get your tickets to see Hamilton live NOW while they last! !